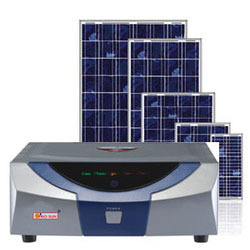 Manufacturing and supplier of solar equipments that includes roof top solar power plan, off grid solar power plant, industrial solar power plants, solar UPS, solar inverter, solar hybrid, solar charger control, solar hybridiser, MPPT solar charge controller, led lights, solar street lights and solar fencing. 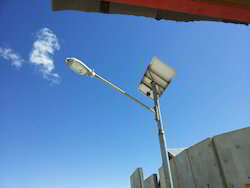 We are considered to be one of the leading manufacturers and suppliers of a highly commendable range of Solar Lighting. Manufactured as per the set industrial norms and guidelines, its quality never deteriorates. Owing to the finest raw materials and modern machines used in its making, the offered product offers superior lifespan and a commendable functionality. In addition, the offered product is highly eco-friendly in nature. In order to provide maximum satisfaction to our clients, we manufacture this Solar Power Systems using the highest grade of raw materials and modern technology. It is used for converting solar energy into electrical energy and then storing it for usage during emergency situations. For quality reasons, the manufacturing is done as per the set industrial norms and guidelines.